Ed Sheeran isn't allowed to talk between shows. The 24-year-old has been complaining on Twitter about his "man flu", treating his sore throat with plenty of rest and curry dinners. It's bad timing, as he's on the Oceania leg of his x Tour and now he's been advised to remain completely silent when he's not up on stage. "Been told by the vocal doc not to talk at all between shows and they're giving me a white board to communicate with, could prove interesting (sic)," he tweeted his followers. 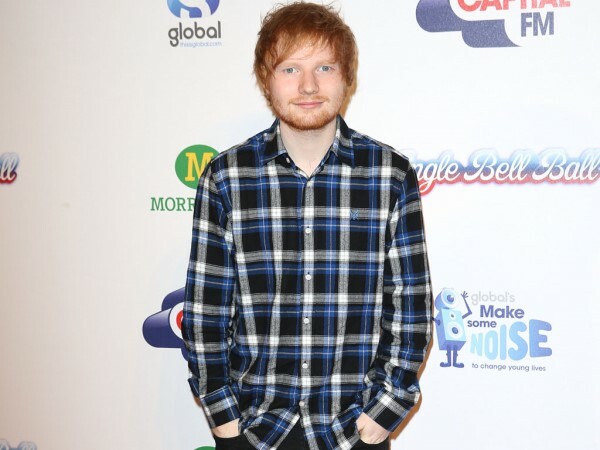 It could be that everything is getting on top of Ed, who is rumoured to have split with his girlfriend Athina Andrelos. According to British magazine Heat, the redheaded star and pretty model broke up after the BRIT Awards last month, just before Ed was off on tour. “The final straw was at the after-party. It was a combination of Ed drinking too much and him being unable to deal with a girl that kept bothering them that night," an insider explained. "The next day, when Athina drove Ed to the airport, they spoke about everything and they decided to take a break because it was unfair on both of them." Apparently Athina is going to Greece to clear her head and they plan to meet in August when Ed is back in the UK. At least Ed is keeping his mind off things by working hard. He's now trying his hand at acting with a role in Aussie soap Home and Away, with his scenes airing later this year. "It’s an Australian institution. It’s always on in my local chip shop," he said to news.com.au. "I got asked to do it and it sounded like it could be fun. I did Shortland Street in New Zealand as well and I’m sure if Emmerdale or EastEnders ever ask me in England I would do that as well."